The hubs and I have decided that we are going to have at least one at home date night a month in 2016 and so in early December we got started and had a date night planning session! So this is actually an added bonus date night idea that I thought I'd share with you. 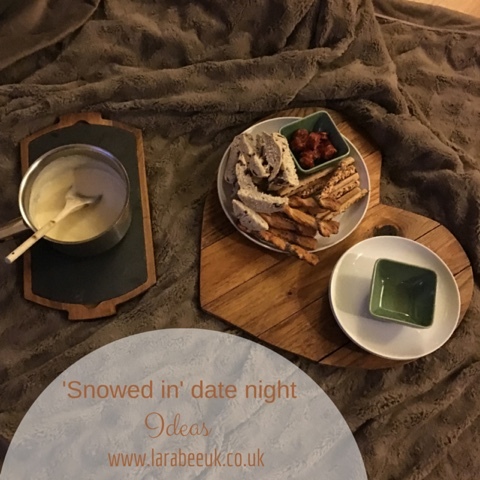 I wanted this date night to seem like we'd been snowed in and had no electricity! So no tv, cooked food or lights! We piled cushions on the floor with faux fur throws, and lit lots of candles, I wanted to serve food and a drink that could be served and eaten on the floor whilst we were planning and playing scrabble. Although the idea was not to use electricity I couldn't resist putting on the twinkly lights in the hearth as it was far too warm to have a fire. You could even pop on a real fire video from YouTube and pretend you weren't using electricity! We both put on lounging clothes and thick socks so we were nice and comfy sitting on the floor. 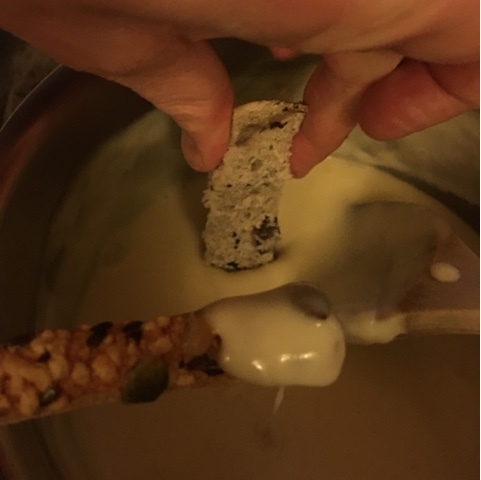 For food I chose to cook fondue, we don't have a fondue set so I cooked it on the gas hob, we were going to do it on the little portable one but decided not to as we had enough going on with the Christmas tree and bits all around! 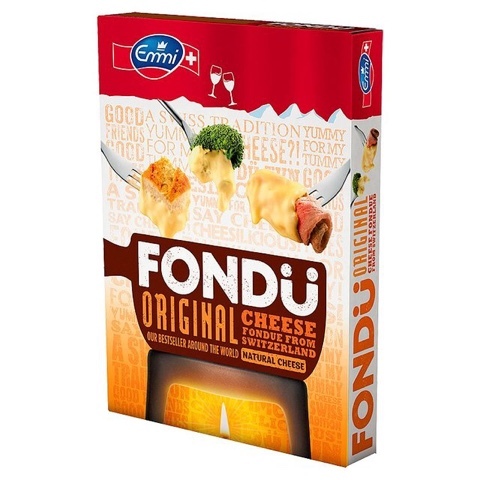 I'd love to say that I concocted a delicious boozy, cheesey fondue but truth be told, I've tried 3 times and each were a complete disaster so I got a fondue cheese pack from sainsburys which was delicious! 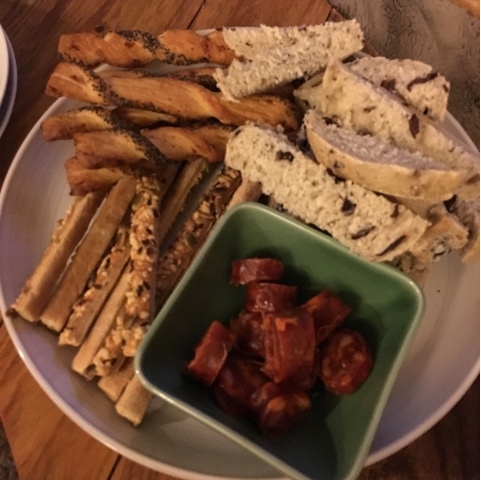 We added some breadsticks, olive bread and some chorizo for The Hubs, I'll definitely do some veggies next time too, there was so much and it was quite delicious! 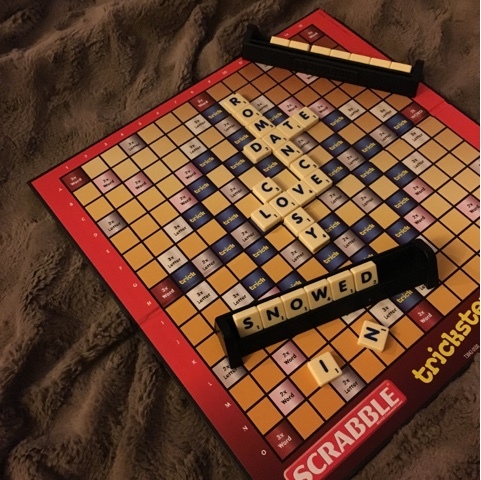 We played scrabble for entertainment to add to the 'snowed in' theme. 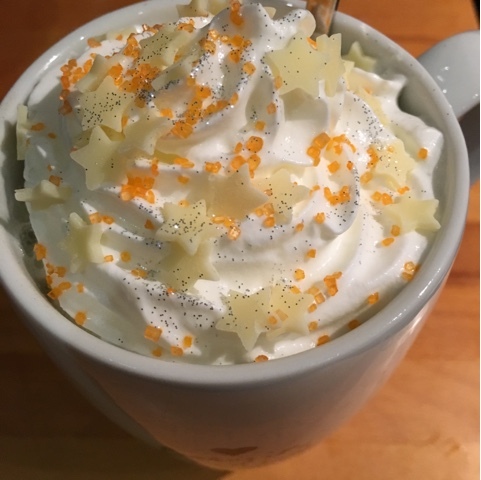 And drank our chocolate orange hot chocolate which is heavenly! Here's a little round-up for a 'snowed in' themed at home date night.